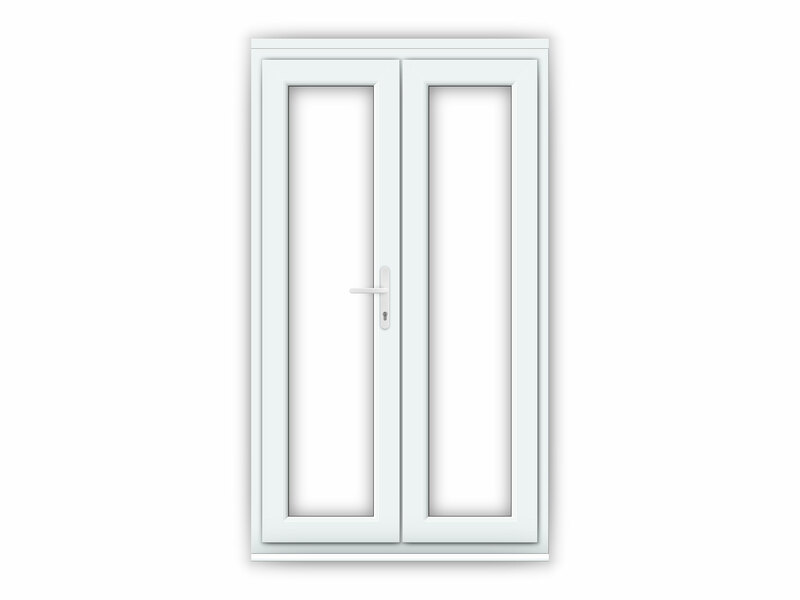 Our 4ft uPVC French Doors are 1190mm (W) x 2090mm (H) including a 30mm cill and 40mm overhead ventilator if fitted. Our 4ft uPVC French Doors are perfect for installation in a 1.2m (W) by 2.1m (H) aperture. I didn't leave a review when I got my doors about 6 months ago but feel I have to after a lovely chat with Sally just now where she was most helpful. Excellent aftercare and customer services, thanks again!! Fitted myself with a friend, absolutely no problems at all. Great company, great product and I will be recommending you to all my friends and family in the future. great price, excellent product & delivered on time, will use again! Great product easy to fit and with concise instructions, great value for money and excellent build quality, can't really say anymore. This door looks very good and feels very high quality. There were no instructions with the door but I rung customer services and was sent the installation instructions straight away. Like other reviewers I can only sing the praises of these doors. When I looked at starting this project I thought I would be looking at around Â£1000 for a set of double glazed french doors. I was suprised at the price and did wonder about the quality. These are fabulous quality doors even my builder commented on that. Customer service was excellent. Can't beat it for price and quality, was going for a wooden unit but the thought of repainting every few years (4 grandchidren!) put me off and I'm well pleased with these doors. These doors are well made, simple to fit with excellent instructions for adjustments in all directions so they operate and lock securely. You can't find better, or even similar, doors anywhere else at this price. Â£50 cheaper than anywhere else I could find including Screwfix, Wickes and B&Q. Would highly recommend. Doors as expected, quite easy to install and look great in situ. Opening outwards is a great advantage when space a premium. Great quality doors that pretty much fell in to the reveal. It's all down to three things : preparation, preparation & preparation. Great doors, reasonably priced, some minor niggles, but that's it ! Buy some, you won't be disappointed. This product is well made and comes with a full fitting kit. We had some problems aligning the doors using the built in adjusters but technical helped rectify this. Good value for money. Easy to navigate someone on hand to help from 8 until 10pm fount hat very helpful. Lady I spoke to was very polite and infrmative. Bought some 4ft and 6ft french doors for extension, very happy customer. Quality doors, quality price and quality service - delivered in 3 days. Would recommend flying doors and will be purchasing from them in the future. Didnt recieve a email as stated within 48 hours and had to phone after 3 days of not hearing any thing to be told delivery would be a week later which would make a 10 day delivery not 3-5 as stated on web site . After another phone call it was sorted out promtly delivery was the next day, was given a 2 hour slot it was delived on time . excellent product and quality very pleased after intial disapointment. Need to sort out what they state on website and what they can deliver. Had 2 French doors delivered 1190mm and 1790mm. The quality of doors / delivery company attitude is 5 stars +. Had to chase flying doors 3 times to confirm when they will be delivered. But this is only minor fault. Would recommend flying doors to anyone thinking of purchasing French doors. Top quality product and great customer service. Ordered the 4ft french doors on monday, rung me to book in my delivery on tuesday and the doors were with me on thursday.